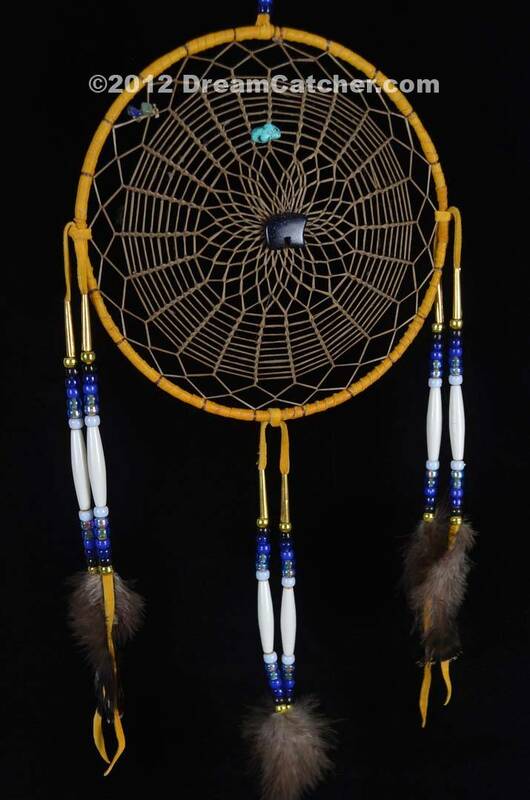 This beautiful 9 inch dream catcher has the Black Widow, Garden Spider and Brown Spider webbing styles together. 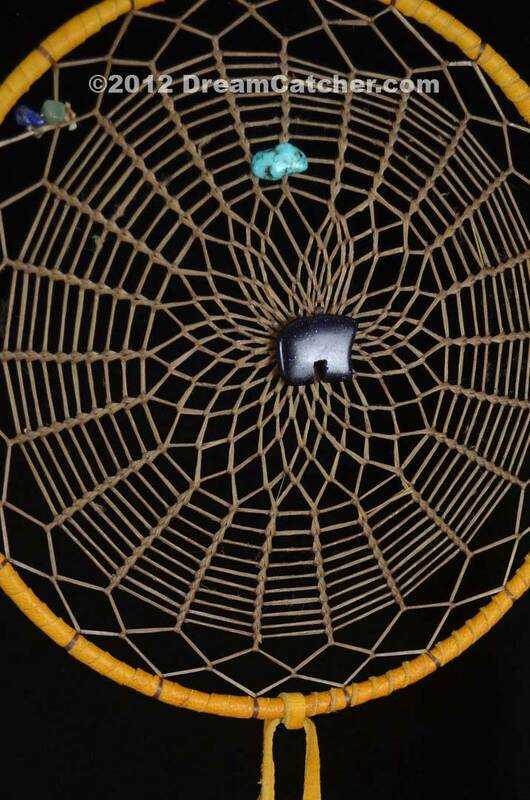 The center of the web has a very beautiful blue gold stone bear that shimmers in the light.. . This amazing piece was made for you by Navajo artist Kenneth Begay. Once you add this piece to your cart the page will update showing "Temporarily Out Of Stock ". This is because you have purchased the only one available and it is in your shopping cart. Proceed to checkout to finalize the order.